Veristone is a full service company producing cast limestone elements, and Glass Fiber Reinforced Concrete (GFRC). 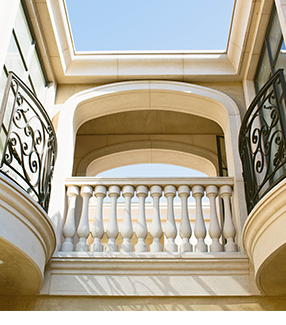 We specialize in manufacturing high end cast stone and veneers while providing design and management assistance to assure a successful project for our clients. With cost and efficiency in mind, it is certain our extensive variety of products will fit any project’s needs and aesthetic. Since its inception in 1998 Veristone has been leading the market in precast design and manufacturing. 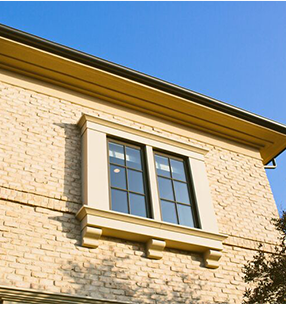 The Veristone product line supplies the building community with a full line of architectural elements, including surrounds, sills, cornices, columns, balustrades and fireplace surrounds. In addition to the standard product line, we are well versed in assisting our clients in design, color matching and budgeting. With over 10 standard colors and textures to choose from, and the ability to make any custom color we have the versatility to meet your design needs. Veristone Limestone product is a unique quarried limestone composite with the look and feel of hand cut stone. 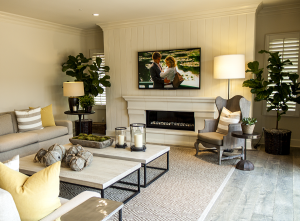 Our Limestone product is a blend of natural limestone and minerals, special bonding agents and Portland cement, and is applied to mesh and base coated foam to produce an authentic limestone veneer. Our proprietary technology reduces the weight of finished products simplifying installation and doing away with most mechanical fasteners. Each piece we manufacture is individually hand ground producing the look and feel of real limestone. In many ways Veristone Limestone outperforms traditional cut stone, serving as an affordable, lightweight alternative with remarkable flexibility and limitless design applications. Veristone GFRC product is a raw concrete product consisting of a two coat system. The back coat is roughly ½” and is bonded together with hundreds of glass fibers giving the piece its ultimate strength. The face coat is roughly ¼” thick consisting of the specific color and texture. GFRC is manufactured by applying the face coat first into a custom mold and allowed to set up just long enough to apply the back coat, providing the most effective bond between the two coats. Overall GFRC is a ¾” thick cast piece that offers superb durability while limiting the weight restraints of traditional precast.